There’s something magical to me about the quilting community. While I’m fortunate to live in an area that embraces quilting, I’m also super impressed by the amazing worldwide quilting community on Instagram. I love all the inspiration I find, the feedback I get on my own work and the drive to give back. The quilting community is one of the most generous I’ve seen. When disaster strikes, there’s always a call for quilters to pitch in. A quilt doesn’t change what happened – it has no control over the past. But a quilt does provide hope for the future. Most people have a positive connotation of a quilt or blanket. Think of all the times you snuggled under a quilt to watch a movie or to comfort you while you’re sick. I like to think of quilts as a warm embrace. And in times of need, sometimes that’s the best we can offer the sick, the hurt and the sad. One of the other things that strikes me about the quilting community giving back is the ability to put differences aside. People tend to share a lot on social media so it can be easy to pick up on someone’s political leanings, social preferences and more. 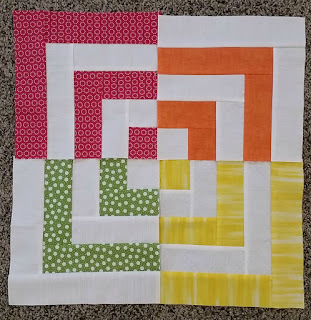 In a time where *it feels* like people put more effort into complaining and arguing on social media, when I see a call for help on Instagram, I see all quilters jump on board. At times, I’ve had to put my own differences aside and dive in, because that’s what being compassionate and caring is about. I am proud to be able to call myself a quilter and be a part of an amazing group. Several of my #bluerkblocks contributions. This fall, I’ve put my skills to work for #bluerkblocks and #quiltsforvegas. 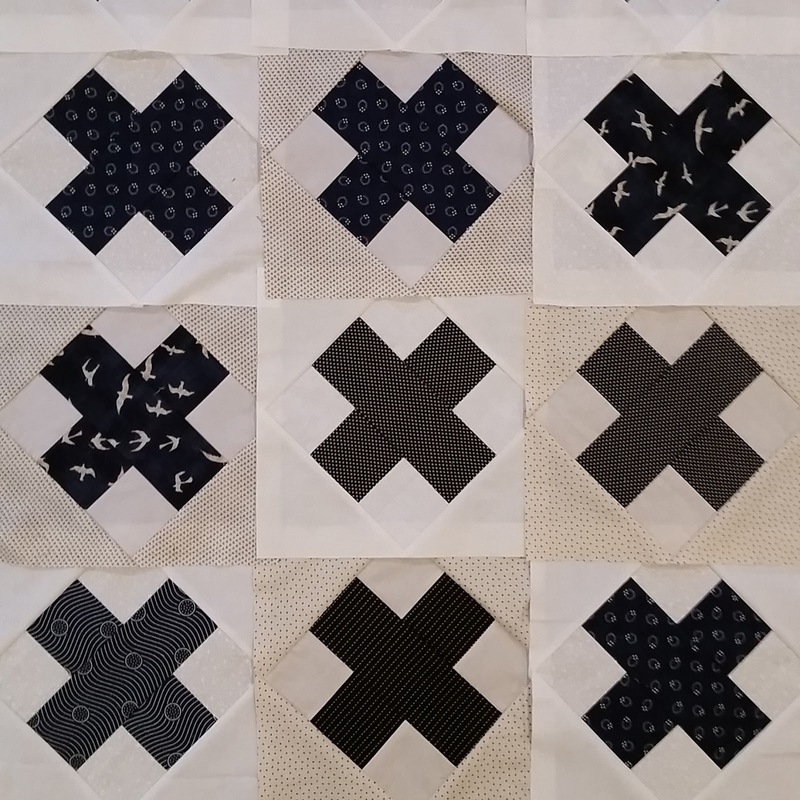 #Bluerkblocks is a drive to create quilts for family members of fallen police officers. 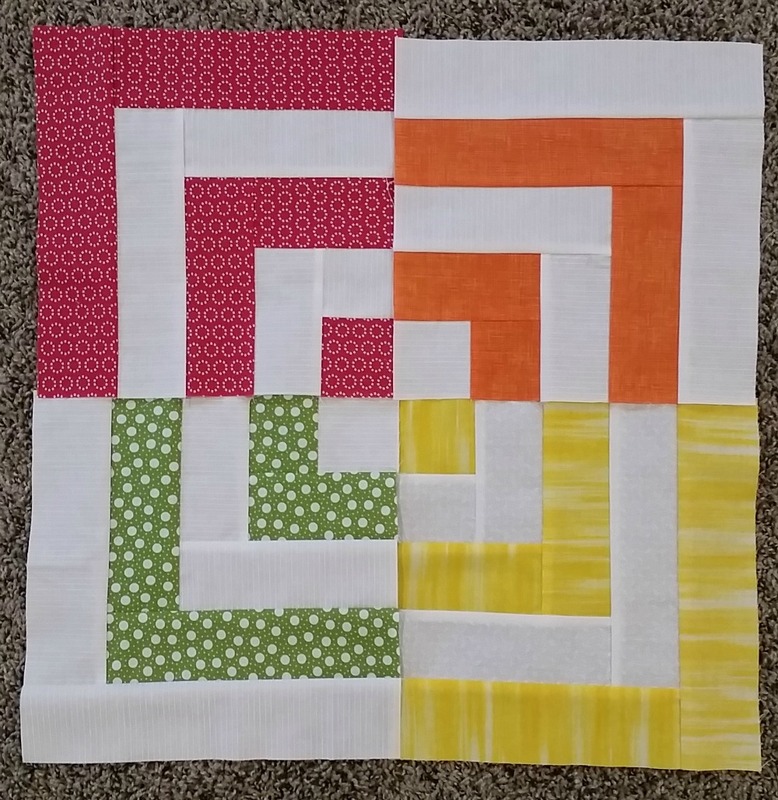 A quilter can contribute individual raspberry kiss blocks (using blue for the x-shape and a low volume for the background), an entire quilt top, binding, backing, batting, money for quilting or money for postage. I contributed 21 blocks. #QuiltsforVegas is a drive to create quilts for the family members who lost loved ones and first responders who aided the injured and helped people survive the mass shooting in Las Vegas on October 1. A quilter can contribute individual blocks (using Cluck Cluck Sew’s Grayscale Quilt block tutorial and one of Cluck Cluck Sew’s Heart blocks), an entire quilt top, binding, backing, batting money for quilting or money for postage. I’m currently in the middle of creating a quilt top to contribute. The quilting community is so large and expansive – just think of all that power for good when quilters come together to give back! If you’re not already a part of Instagram’s quilting community, join us! Use Instagram’s search feature and search on hashtags like #quilters #quilting #quiltersofinstagram #quiltspiration or any other tags you think sound relevant and follow other quilters! From there, you’ll learn more about opportunities to give back, you’ll find inspiration and you’ll find new quilty friends to talk about all things quilty :) Follow me on Instagram @maeberrysquare. How do you use your quilting skills for the power of good?